It’s not difficult to find examples of how the modern, online iteration of fake news can harm a business. Take the series of events now referred to as “Pizzagate,” in which publishers in Macedonia started rumors about Hillary Clinton’s involvement in a child trafficking ring located in the basement of a pizzeria. These fake publications may have influenced voter perceptions of the presidential candidate, but it led to even more severe consequences for the pizzeria when, in December 2016, a man who read the false publication repeatedly fired shots at the pizzeria. No one was hit by the gunfire during the incident, but the pizzeria lost employees and customers because of the false publication and the violence it triggered. Damage via false reporting is not just a North American phenomenon. In London, an Indian restaurant called Karri Twist, began receiving calls from people accusing it of selling human meat. During one of the calls, a customer revealed that this information was posted on Facebook. Shrina Begum, the restaurant’s owner, tracked down the source of the rumor on a fake news site called Channel23news.com. The fake news story indicated that nine bodies had been found on the restaurant premises in the freezer, and that the owner had been arrested for selling human meat. Although the article’s credibility was immediately suspect due to the numerous spelling errors, it spread widely across Twitter and Facebook. Making matters more difficult for business owners and authorities wanting to combat the spread of fake news? Channel23News.com is only one of many such sites propagating such content. BuzzFeed used domain registration records to identify two separate networks that together own at least 30 fake news sites that have published thousands of fake articles in multiple languages over the past year. The sites have collectively earned over 13 million engagements on Facebook in the past year. The articles have equally targeted politicians and businesses. But why create fake news? Some people create fake news to hoax others or prank their friends. Others use it to cyberbully. And of course, the use of misinformation as propaganda is widespread. But the owners of fake news sites are mainly in it for the money. Successful fake news posters can earn anywhere from $5,000 per month to $3,000 per day by relying on self-service ad technology widely available online. Whether these false stories are created for fun, mischief or money, they can become a nuisance to businesses trying to protect their brand and maintain their good reputation. In a Target-Rich Environment, What Is a Target to Do? As states struggle over the language for new laws, businesses injured by fake news stories may find refuge in existing laws. Under tort law, a party may recover damages to his/her reputation when another makes false statements causing injury to his/her character. Written defamatory statements may be actionable as libel. A successful libel suit typically requires publication of a defamatory statement where the targeted person or entity was identified in the material and suffered injuries because of it. Businesses injured by fake news stories may also be able to state other claims if the articles misappropriate the businesses’ intellectual property in the fake story. Improper use of a businesses’ trademark in a fake news story could subject the author and publisher to liability. 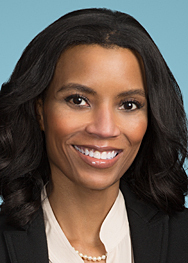 Unfair competition laws might also attach liability. In some states, liability may attach for improperly using an individual or entity’s name and likeness for commercial purposes. Despite the availability of these legal tools, there is a significant barrier: Section 230 of the Communications Decency Act (CDA). The CDA protects providers and users of interactive computer services from liability as publishers of information provided by third parties. This means that social media platforms such as Facebook and Twitter are likely immune from suit based on content that was posted by their users. 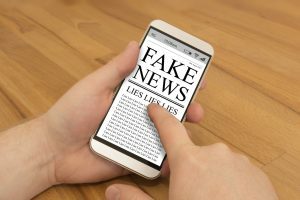 Thus, if a business is harmed by fake news, the site where it is posted or published may not be liable, and it may be difficult to track down the original author/publisher. Fortunately, many platforms, including Facebook and Google have taken steps to crack down on fake news postings. Nonetheless, for now the use of fake news as a weapon to harm a business is going to remain difficult to anticipate, inoculate against or remedy for one simple reason—there’s money to be gained.